Editors note: In July of 2016 Denver City Council began hearing its first general public comment session from members of the public speaking for three minutes on city matters of choice, but only during the first Monday meeting of each month. Prior to this new procedure- approved May 23, 2016 – the public was only allowed to comment on agenda items. On September 18, 2017, the Council announced a second opportunity to participate in public comment, the third Monday of the month. Because this public comment session is not televised nor recorded, we at The Nation Report felt it important to document for readers, issues that were most raised by members of the public that follow our mission statement. To sign up to speak for the public comment session, you can email Legislative Services at dencc@denvergov.org, or call 720-337-2000, or sign up in person in Room 451 of the City and County Building. The sign-up period begins at 12 p.m. on the Friday before the first scheduled council meeting of every month. Public comment began promptly at 5 pm with only two speakers signed up to speak. Neither appeared, but Amanda Chilton did. Chilton who said she discovered a warrant that police watch groups informed her had been issued but had not been served to her. 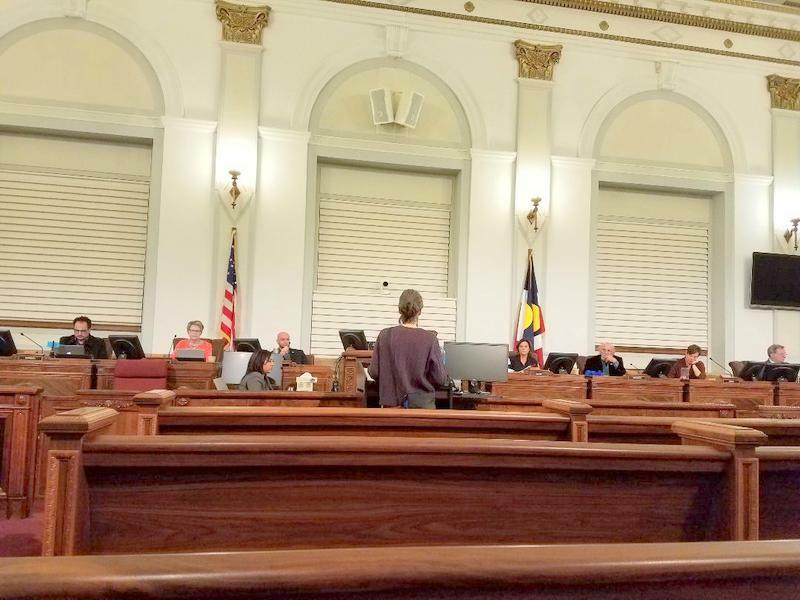 She told city council members that she would be paying her $550 bond to the County Clerk following her appearance at the public comment session, but also complained about treatment she described by various city officials, and by the Denver Police Department. The charges were filed following an incident at a Regional Transportation District (RTD) public meeting in 2015 at which Chilton is accused of disrupting. Chilton was suspended from RTD property accused of trespassing. Following the public comment session, Chilton was seen attempting to pay her $550 bond at two different desks in the Denver City and County building. Her payment was refused by the County Clerk and she was advised to turn herself in to the Denver Jail. Chilton told The Nation Report that she would first advise police watch organizations, before turning herself in because of what she said was mistreatment by sheriffs employees during a former jail stay.